It's swoon meets the Hunger Games in THE SELECTION series! 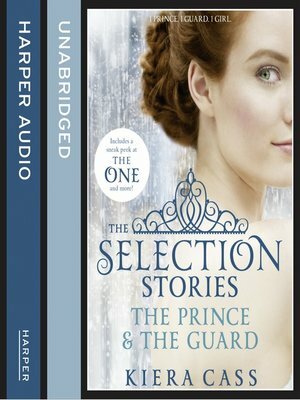 Two captivating Selection stories – 'The Prince' and 'The Guard' plus an early sneak peek at 'The One', Q&A with Kiera Cass and more... 'The Prince':Before America arrived at the palace to compete in the Selection, there was another girl in Prince Maxon's life. A captivating view into the heart of Prince Maxon before he fights to win America Singer's love. 'The Guard':Raised as a Six, Aspen Leger never dreamed that he would find himself living in the palace as a member of the royal guard. An inside look at Aspen's life within the palace walls – and the truth about a guard's world that America will never know.